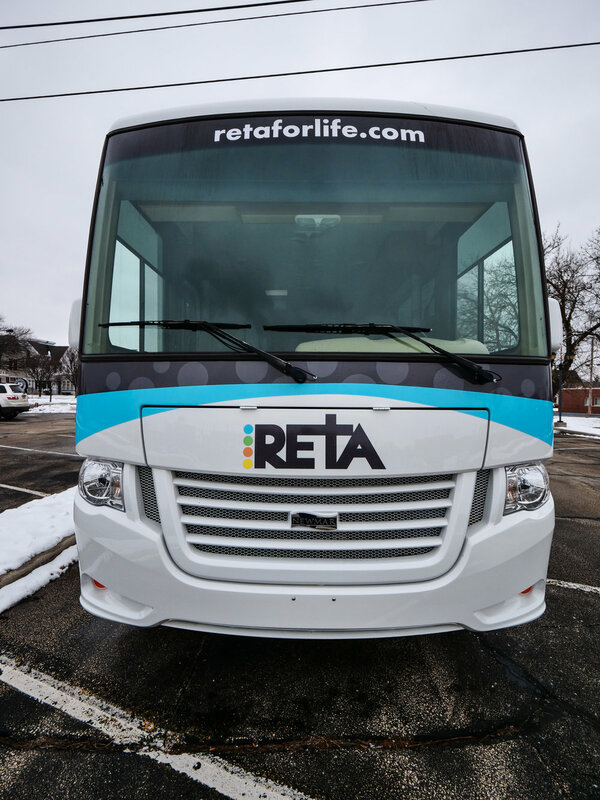 RETA’s mobile unit upgrades are complete! During Thanksgiving week, the mobile unit was dropped off at Fox RV, where the inside was renovated over the next two months with new furniture, chair covers and carpet. The shower and stove were removed to make places for better storage. Along with those changes, a sink was added to the exam room as well as a new ultrasound probe disinfection station and an emergency exit door and stairs. 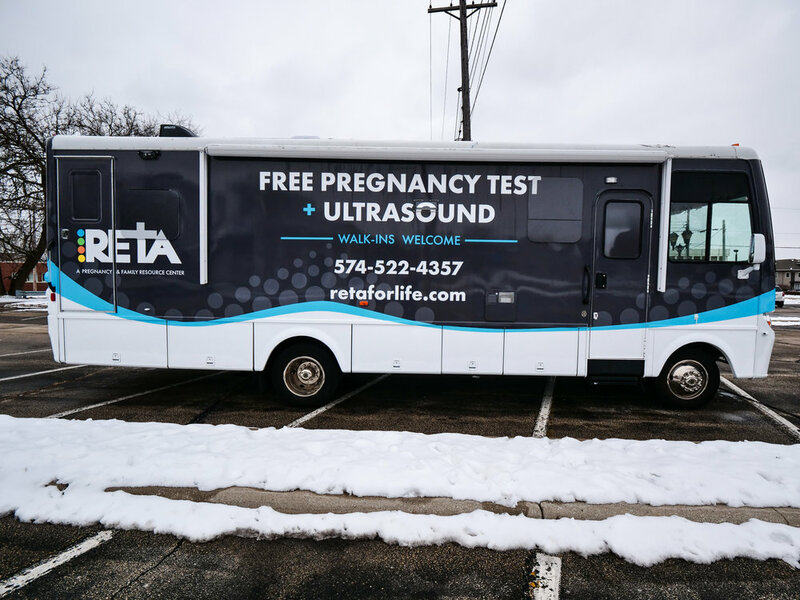 Not wanting to neglect the outside of the vehicle, RETA staff Rod worked on a preliminary design for a new wrap on the outside of our mobile unit. After finalizing the design with the crew at Bandit Signs and Graphics, the mobile unit was re-wrapped. We are so excited to begin services again in mid-January around Elkhart County. 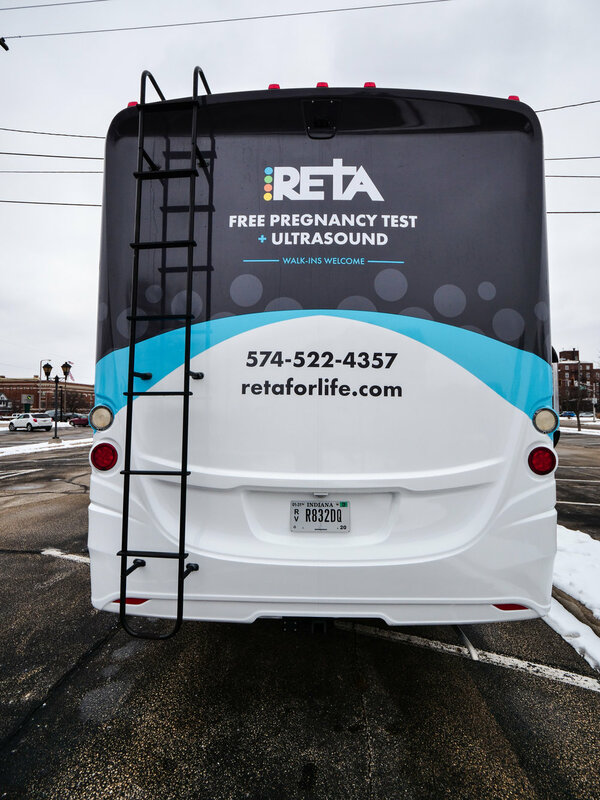 Those looking for a free pregnancy test or first trimester obstetric ultrasound can schedule an appointment by calling our office at 574-522-3888 or visiting our website at retaforlife.com/appointment.